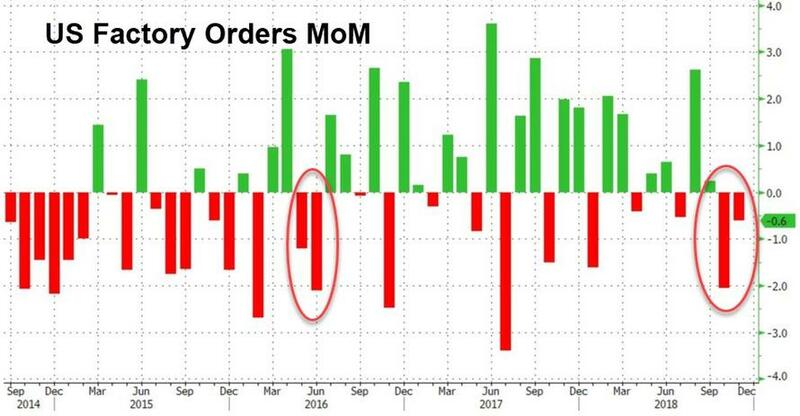 Worse still ex-Transports, orders tumbled 1.3% MoM. 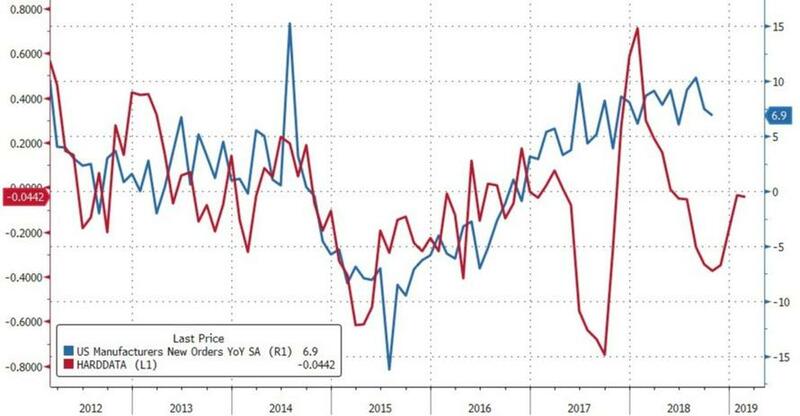 The final updates for Durable Goods data was also disappointing with Core Capex slumping 0.6% MoM (after the same drop the previous month) and shipments dropped 0.2% (against expectations of unchanged). 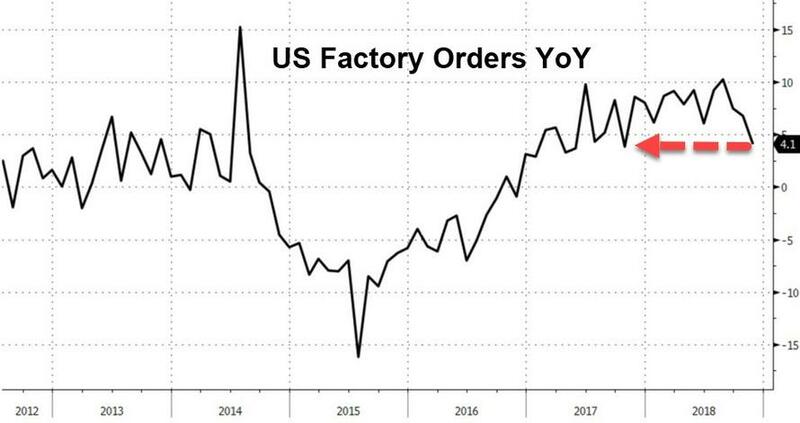 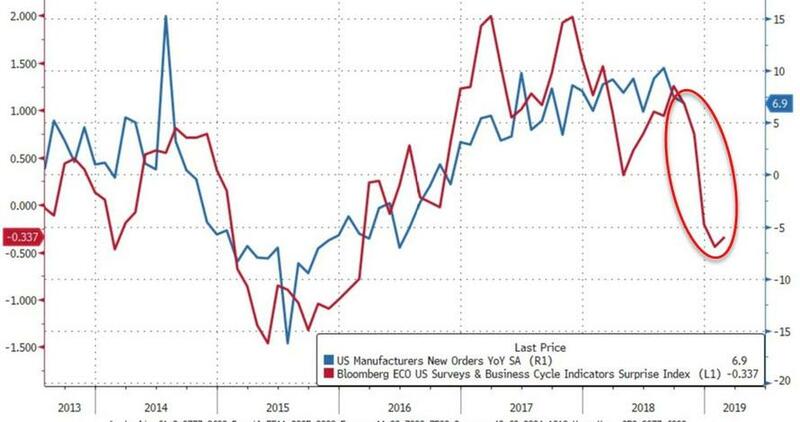 The headline Durable Goods Orders data also slowed dramatically from the preliminary print (rising just 0.7% against expectations of a 1.5% rebound).